The Brewers starter put one right into the Rockie batter, hitting him. After the ensuing brawl at Denver's Coors Field, starter Jeff Juden was ejected. Coming in to replace Juden, Brewers Manager Phil Garner directed, was Bronswell Patrick, The San Francisco Chronicle wrote the next year. It was May 12, 1998, and this was Patrick's major league debut. "It was very, very nerve-racking for me," Patrick told The Chronicle as he tried to make the Giants the next spring. "I ran out onto the field because I thought there was going to be a brawl, and I wanted to protect my teammates. The next thing I knew, Garner tells me to get into the game and pitch." Getting into games and pitching was something that Patrick was used to, not exactly in the majors. It was also something he didn't easily give up, prolonging his career playing in Mexico and even China. Patrick made his debut that May after a decade in the minors. He ended up seeing major league playing time in two seasons, the next year seeing six games for the Giants. But he wouldn't stop pitching until 2005, after once telling The Calgary Sun that he wouldn't stop until someone physically took the uniform off of him, MiLB.com wrote. 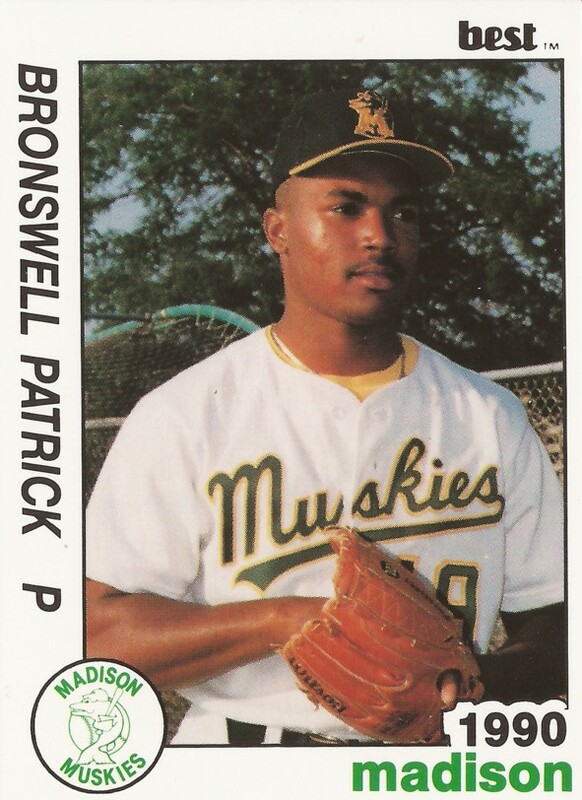 Patrick started putting professional uniforms on in 1988, taken by the Athletics in the 23rd round of the draft out of Winterville High in North Carolina. He played that year for the rookie league Arizona League Athletics. He made single-A Madison the next season, then AA Huntsville in 1992 and AAA Tacoma in 1993. But he never saw Oakland. He jumped to the Astros system for 1995, the first of three years with the Houston organization, but he had similar results, playing AAA all three seasons. "It's frustrating when you're down there (in the minors) and things don't open up for you," Patrick told The Chronicle in 1999 of his lengthy wait. "I kept telling myself, if I work hard, it'll pay off." It finally paid off in 1998, when he signed with the Brewers. He got the call in May. He pitched in 38 games for the Brewers that year. Two of them were particularly notible, though neither for Patrick's pitching performance. On Aug. 1, he got to bat and he hit a home run. The Brewers had just switched to the National League that season. He was the first Brewers pitcher in nearly 40 years to hit a home run, MLB.com wrote. Then, in September, Patrick threw the pitch that became Sammy Sosa's 61st home run on the season. "Normally for me to be effective, that pitch has to be down in the strike zone," Patrick told The Associated Press of the pitch after the game. "This one stayed up. I should have started it at his knees and made it break into the dirt." Signed with the Giants for 1999, he didn't make it to San Francisco until mid-September. Brought into the Sept. 16 game, by Manager Dusty Baker, Patrick proceeded to shut down the Marlins for two innings and helping the Giants to a 6-5 win. Patrick was also credited with the decision. "It felt good, being in a ballgame that close," Patrick told The Chronicle. "Dusty showed some confidence in me and gave me the confidence to get the job done. I was sitting down there (in the bullpen) trying to anticipate when I might get in. I finally got my chance. It was great to come out with the victory." 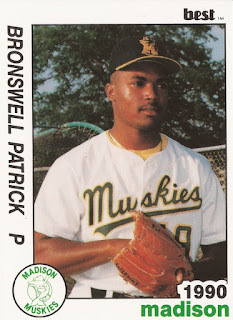 Patrick went on to pitch at AAA Calgary for the Marlins in 2000, then he went to Mexico and even China with the Chinese Professional Baseball League. He finally threw his final pitch in 2005. He has since turned his sights to coaching, serving as pitching coach this past season with the Padres' single-A club the Fort Wayne TinCaps for 2010. For 2016, he's serving as pitching coach at AAA El Paso. "I love working with these kids and having a good time with them," Patrick told MiLB.com in June 2010. "It's just been a great experience for me and I just want to keep it rolling."